Growing whispery and weepy, Jimmy tells me his story. He murdered his wife and two daughters, aged 14 and 9, with an axe. "I don't want to live," he moans, "I'm a monster." In 25 years of making prison films I've never seen an inmate crack open this way. Most killers I have encountered rarely show real remorse. It is early 2010 and I am starting research for my film NCR: Not Criminally Responsible, which is having its world premiere at Hot Docs this week, the first major film shot inside a forensic psychiatric hospital (the places they once called asylums for the criminally insane) in maybe three decades. I have been warned that the patients will not be willing and/or able to be filmed. They are feeling deeply stigmatized by a society that sees them as monsters. Who would want to put their face out there in such a hostile climate? 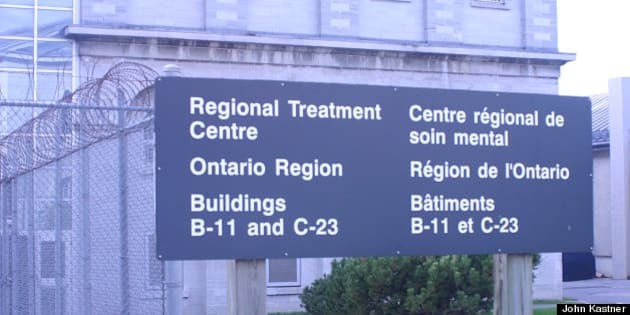 Research begins in the Regional Treatment Centre inside Kingston Penitentiary. No sooner have I set foot on the cell range than a guard taps me on the shoulder: "Mr. Kastner, a gentleman here says he knows you". "Yeah, he says he'd like to talk to you." I recognize Jimmy (not his real name), an inmate I recall from Warkworth penitentiary where I filmed previously. A former math tutor, he was a very calm, mild-mannered guy. I never knew what his offence was. 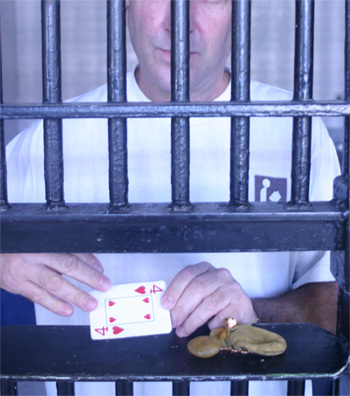 (In prison, you don't ask: It is part of the unwritten protocol. If they want to you to know, they'll tell you.) What is he doing here on a ward populated by the most dangerous of dangerous? And I am shocked at the change in him. The calmness has evaporated. He is a wreck, sighing and teary, clearly in terrible distress. "Jimmy! What's happened to you?" I say. "I don't want to live," he moans, "I don't want to live. I don't treat people well. I'm a monster. I don't want to live. " A monster? Jimmy, the quiet math tutor? Growing whispery and weepy, he tells me his story. He murdered his wife and two girls, aged 14 and 9, with an axe. After killing his wife, Karen, Jimmy gave a math lesson to a student who showed up for his regular appointment, and who had no idea a body lay bleeding on the laundry room floor in the basement below. Then Jimmy drove to school, picked up his older daughter, Sharon, 14, drove her home, helped her with her homework -- and killed her. Then his 9-year-old. He chased the girls from room to room with an axe as they tried to flee. Then he tried to kill himself. "I wanted all of us to be together," he weeps. Listening to him is deeply disturbing. In 25 years of making prison films I've never seen an inmate crack open this way. Most killers I have encountered rarely show real remorse. He has another surprise in store: "You can film me if you want, John," he says. He has seen a couple of my films on criminals. He can trust me. I will not sensationalize his story like the rest of the media would. I am stunned. "Are you sure, Jimmy?" "I'm sure," he says. Noticing my still photo camera he adds: "You can take pictures of me now if you want." I began snapping away. In the photograph he is seen with the two things he always carries with him: a Four of Hearts (one heart for himself and one for each of his victims); and a soft leather bag which normally holds four polished stones (again, one for each heart) but only one stone remains; he swallowed the others a few days earlier, hoping to kill himself. He begins weeping uncontrollably. Two months later I return to the ward. Jimmy is completely transformed. Once again he is the calm, mild-mannered man I knew from Warkworth. His meds have worked wonders. "This is amazing, Jimmy!" I enthuse. "It will make such a great story in the film." "The film?" says Jimmy, puzzled. "Oh the film. Oh no, I couldn't possibly be in that. It would only upset the family. I am sure you understand." I knew I was starting down a very long and winding road. Somehow, three years later I have managed to film 44 patients. One film has become two. But more on that in future blogs. "NCR: Not Criminally Responsible" is showing at Hot Docs, the Canadian international documentary festival on April 28, April 30 and May 5. It is also set to air on CBC's "Doc Zone" and on the Documentary Channel in early fall.